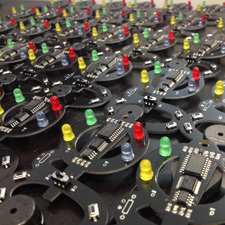 Joe Grand’s hardware hacking training courses teach techniques to explore, manipulate, and exploit electronic systems. 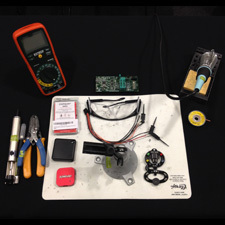 The two-day comprehensive class, Hardware Hacking Basics, covers the hardware hacking process, including product teardown, component identification, circuit board reverse engineering, soldering and desoldering, signal monitoring and analysis, and memory extraction. It concludes with a final challenge where you’ll attempt to defeat the security mechanism of a custom electronic device. No prior hardware experience is required. Additional one-day workshops are available that provide more detail into specific attack vectors. Please visit the Events page for currently scheduled public classes. If you are interested in a private, on-site session for your organization, please contact us. Students must provide their own computer running Windows (administrator access required, within a virtual machine is OK) and containing a functional USB interface. Software and drivers will need to be installed.